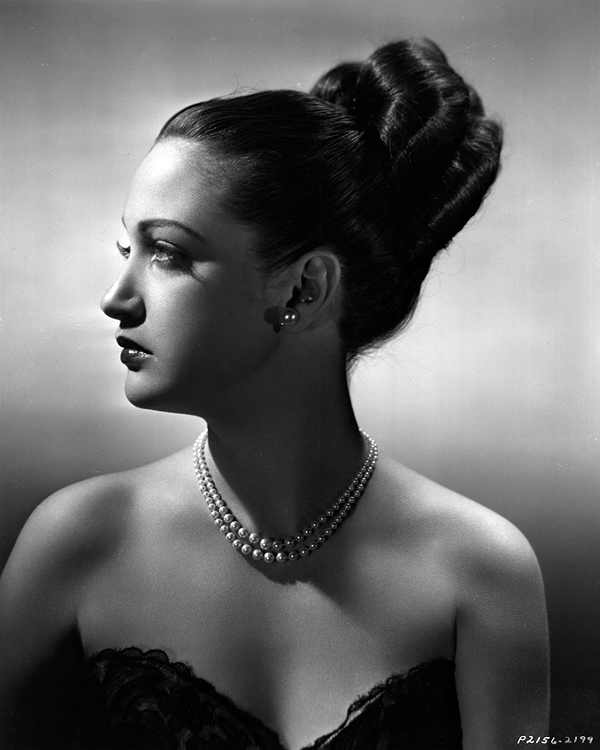 Dorothy Lamour piles her hair high for gala evening occasions. This hairdress was designed by Nellie Manley, who has charge of the Paramount Hairdressing Department under Wally Westmore. Photo by A L “Whitey” Schafer.